For the first time International Women’s Day celebrations at the Diplomatic Centre, St Ann’s included boys and men as a mix of 74 male and female form four students were invited to the event. 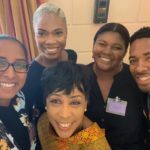 Students from 13 schools in the education district of Port of Spain and environs were given the opportunity to interact with several notable young influencers, in keeping with this year’s International Women’s Day theme of Balance for Better. Mrs Rowley extended International Women’s Day greetings to the invited guests on behalf of Prime Minister Dr the Honourable Keith Rowley. In delivering her feature address Mrs Sharon Rowley told those gathered that although the proverbial glass ceiling has been broken everyone needs to be messengers of equality as there are many women who are impacted by gender inequality. Mrs Rowley said, “All men whether fathers, brothers or sons must stand up for their sisters, mothers and friends. All men must be vocal in their quest for gender equality. Individual students had the opportunity to sit with influencers working in their specific areas of interest including sport, dance, fashion, communication as well as aviation. Government Ministers present at the event included Minister in the Ministry of State in the Office of the Prime Minister Gender and Child Affairs the Honourable Ayanna Webster-Roy, Minister of Community Development, Culture and the Arts Dr the Honourable Nyan Gadsby-Dolly, Minister of Education the Honourable Anthony Garcia and the Minister of Sport and Youth Affairs the Honourable Shamfa Cudjoe. 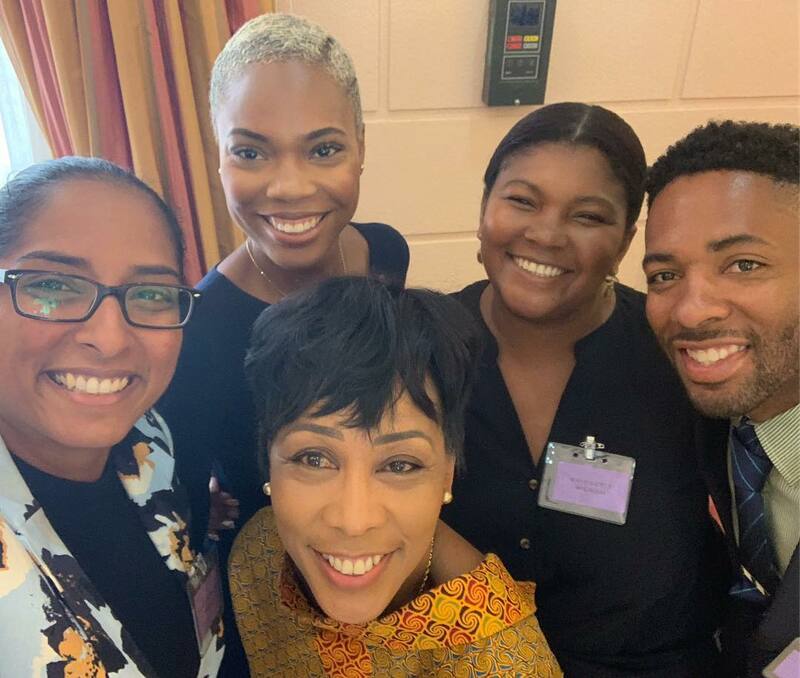 Influencers included Cleopatra Borel, Tenille Clarke, Kerron “Sunny Bling” Sealy, Rodell “Ro’dey” Cumberbatch, Bridgette Wilson, Natalie Fonrose, Christian Boucaud, Candace Guppy-Sobian, Verna Bharath, Hans De Vignes, Katheryn Nurse, Shannon Hutchinson, Kwanieze John and Rheeza Grant.